It doesn't need to be a special occasion for lovers to plan an extraordinary romantic getaway. 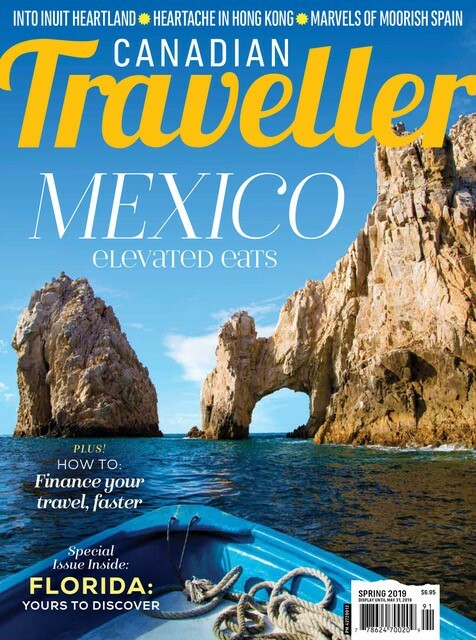 However, instead of fighting other couples in the world renowned romantic locations, those couples looking for something a little different should spend some time at the end of the world – or rather in Cape Town. Cape Town is quickly becoming the new Paris of romantic getaways, with it's one of a kind beach front, sunsets and countless activities for couples. 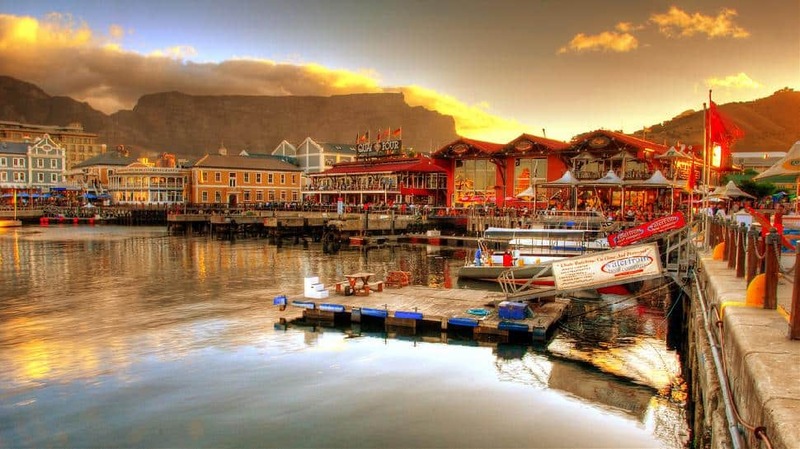 Whether visitors to Cape Town are looking to nourish a new flame or rekindle an old one, here are some great places around town to fall in love. It's every girls dream to feel like she is on the cover of a romance novel galloping through the surf on horseback. Couples can do just that on the idyllic Noordhoek Beach just outside Cape Town. This picture perfect stretch of sand hugs the coastline along the scenic Chapman's Peak. Horse riding this stretch has actually become fairly popular because the area is so scenic and while the hard packed sand is not desirable for beach goers, it is perfect for horses. For the experienced horseback rider, they can rent saddled horses that are ready to go from the Imhoff Equestrian Centre. However, for the newbie to the saddle, the Sleepy Hallow Horse Riding Company is the way to go. 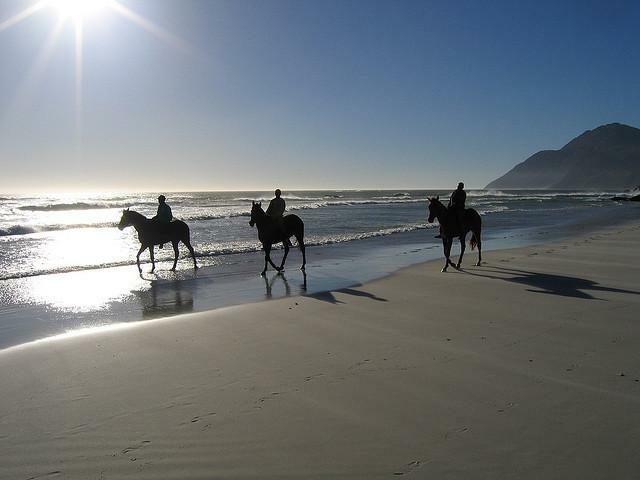 While Imhoff provides the horses and lets guests do as they please, Sleepy Hollow provides horse riding lessons and will even take groups on private tours of the beach area. 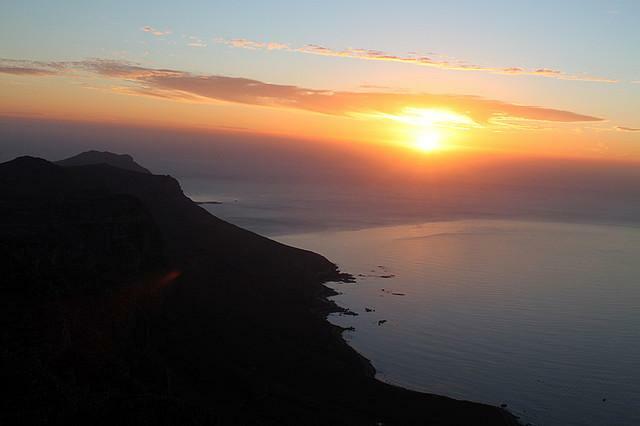 Step up your game and take your love to new heights by taking a trip up Table Mountain as the sun sets. The sunsets over Cape Town paint the whole city beautiful hues of pink and orange and there is no better vantage point than the top of Table Mountain. Visitors get unique panoramic views of not only the city, but of the Atlantic Ocean as well. The cable car runs all day, but visitors will want to wait until the very last car that heads up around 7:30. However, they won't be rushed to come back down as the last cable car doesn't start going down until 8:30, so guests will have a full hour to enjoy themselves. The top of the mountain is the perfect place to sweep a certain someone off their feet as twilight begins to settle over the city. 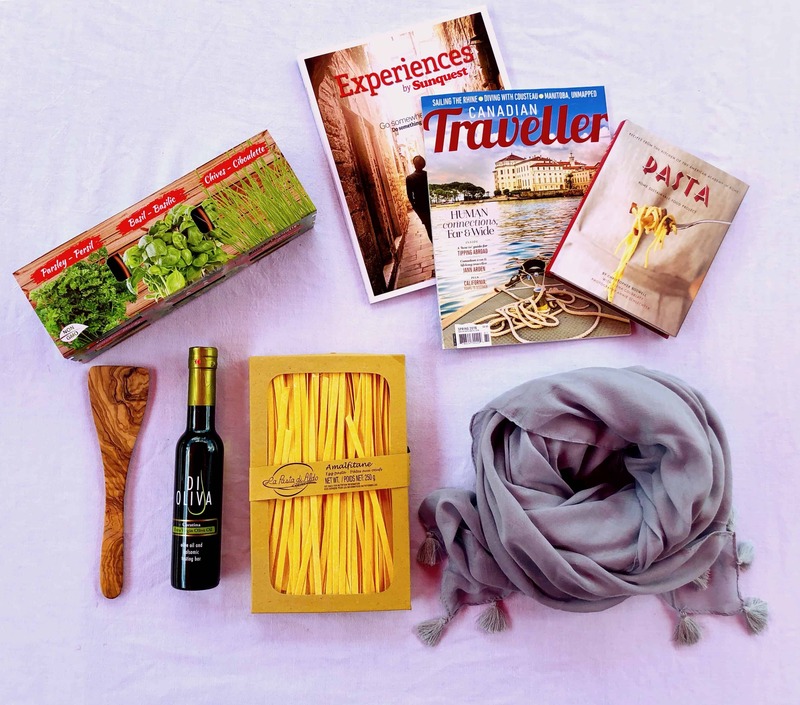 While not strictly in Cape Town, many visitors to the city choose to venture outside of it to the rural areas that make up the region’s vibrant wine country. 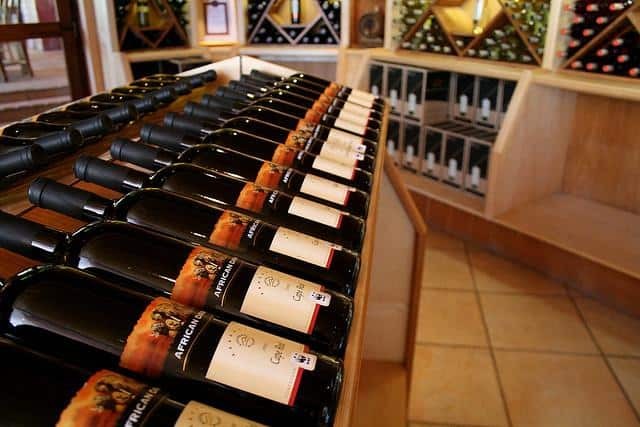 Wine aficionados should be sure not to miss a visit to Lourensford Wine Estates. Lourensford is the oldest wine estate in South Africa, but it also boasts one of the most technologically advanced cellars in the southern hemisphere. After a wonderful tour of their rolling vineyards, guests can enjoy tasting a variety of wines with complimentary chocolate. Aside from Lourensford, visitors who want to see more of wine country should visit the Bosman Family Vineyards as well for a private cellar tour. The Bosman family has been operating their vineyards for eight generations and through this experience they have gathered a number of award-winning reds and whites created under their ethical fair trade mantra. Visitors will get to experience this dedication as their guide shares the history of their 250 year old cellar and business. However, visitors should schedule ahead as they only offer tours by appointment only. South west of Cape Town in the Table Mountain National Park lies the city's most beloved natural wonder: Cape Point. 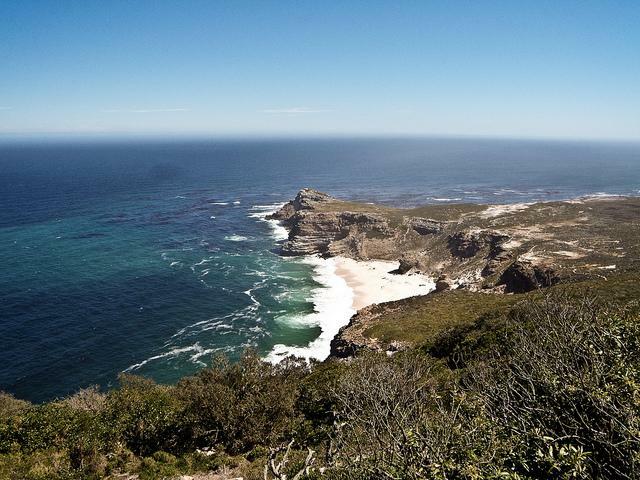 The point is made out of rugged sheer cliffs that jut out over the ocean and serves as Cape Town’s only Natural World Heritage Site. For couples that love to hike in nature, the venture up to Cape Point is one of the most scenic in Cape Town. However, the real allure of the hike is its final destination. Visitors that go to Cape Point can see out over the ocean on three sides. It is also a popular spot for couples to propose as well. There is a lighthouse at the end of the path that looks out over the ocean, but it is much more scenic to peek out over the ocean on the actual cliffside, but visitors need to be careful as there are no guard railings. Nothing brings couples closer together quite like a rush of adrenaline. South Africa's coast is home to a diverse shark population, with over 98 different species prowling around. 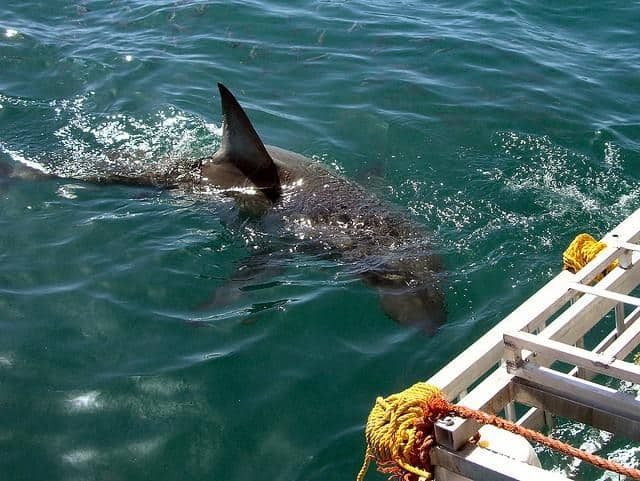 Around Cape Town 40 species of sharks are regularly seen making for some exciting diving opportunities. There are a number of companies in the city that offer to take divers of both experienced and new skill levels out in the water. Of course they will be in the safety of their shark cages, but only a few bars of steel separate divers from swarms of sharks.